Hi guys! 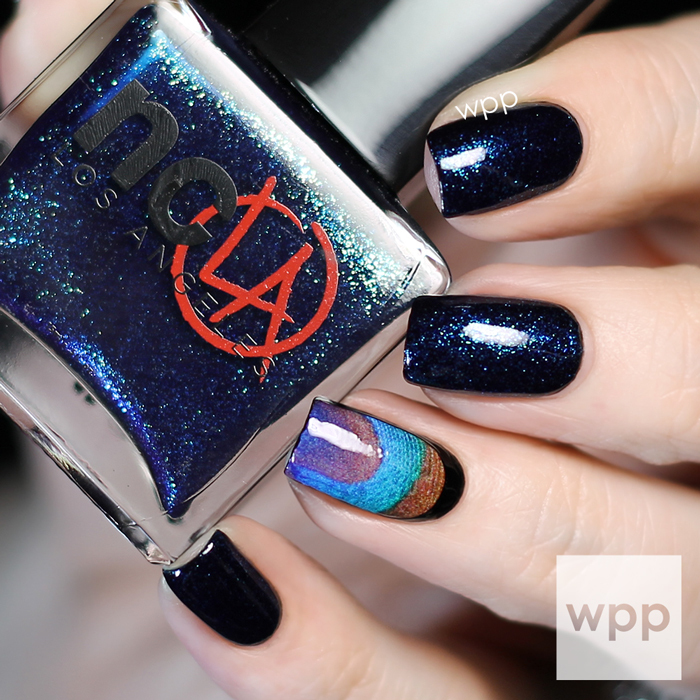 Today I have an easy mani using two shades from NCLA's new Anarchy in L.A. Collection and NCLA's Fowl Play nail wraps from their Nailing Hollywood collaboration. This is so simple, but I love how it all works together. 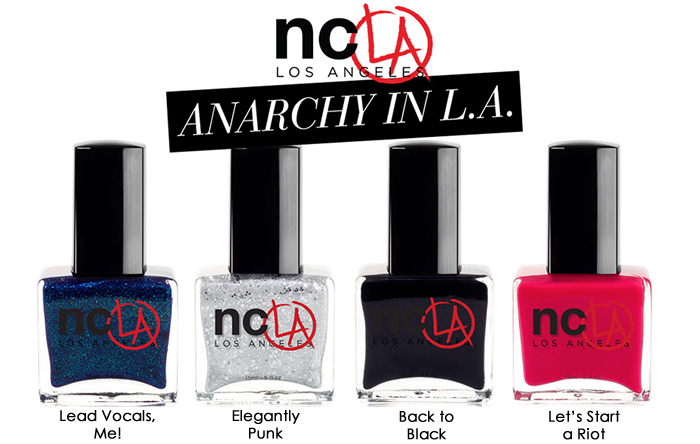 The Anarchy in L.A. Collection is probably my fave NCLA release so far. I always appreciate their thoughtful four-color sets...and the colors are a perfect complement to the peacock feather and snakeskin leather-themed wraps. I just cut my nails down. Who else finds that so satisfying to do every once in awhile? I knew I wanted something vampy and uncomplicated for my shorties. I started with a base of two coats of Back in Black, a true, ultra-shiny black. Then I applied two coats of Lead Vocals, Me! to every finger but my ringer. 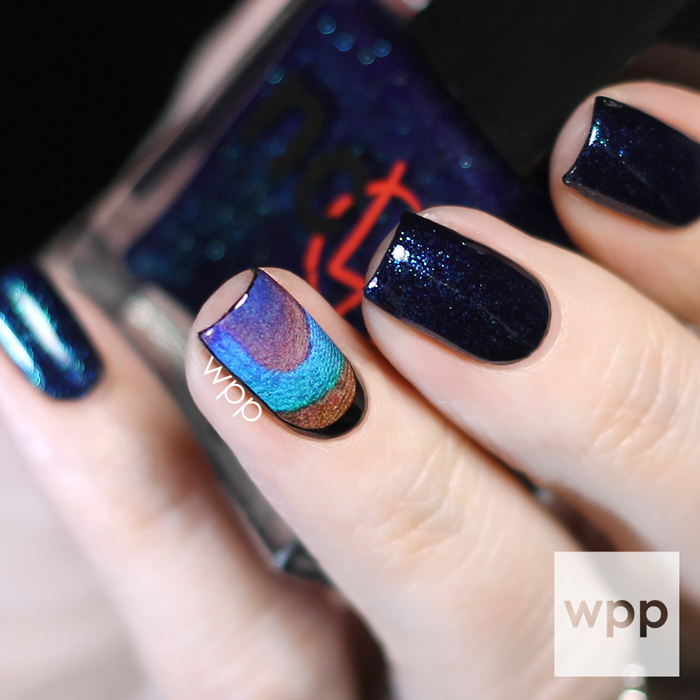 This super shimmery, electric blue-green can be built up on it's own, but looks great over the black. My photos don't do it justice. The bottle in the shot below gives you the best glimpse of it's glow. For my accent finger, I purposely selected a wrap that was narrower than my nail and placed it in the center. 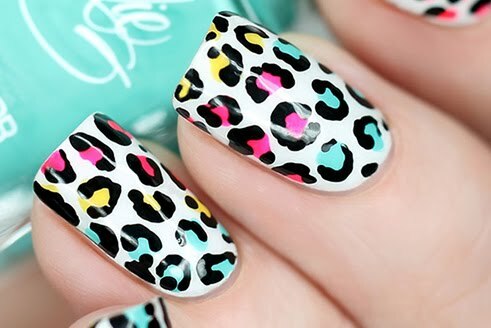 Using nail wraps like this is a foolproof way to create bordered nail art. Super easy! Originally, this look was more complex. I used star-shaped nail vinyls to create shimmery stars over the black. It was beautiful, but it was just too subtle to appreciate, so I polished over the black completely. I finished all of my nails with a coat of NCLA Gloss It! 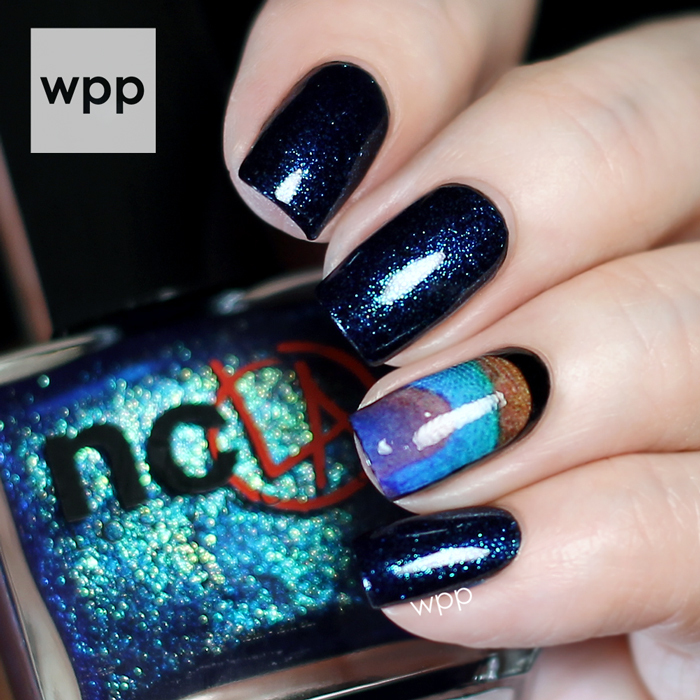 Both the Party Fowl nail wraps and the NCLA Anarchy in L.A. Collection are available now. 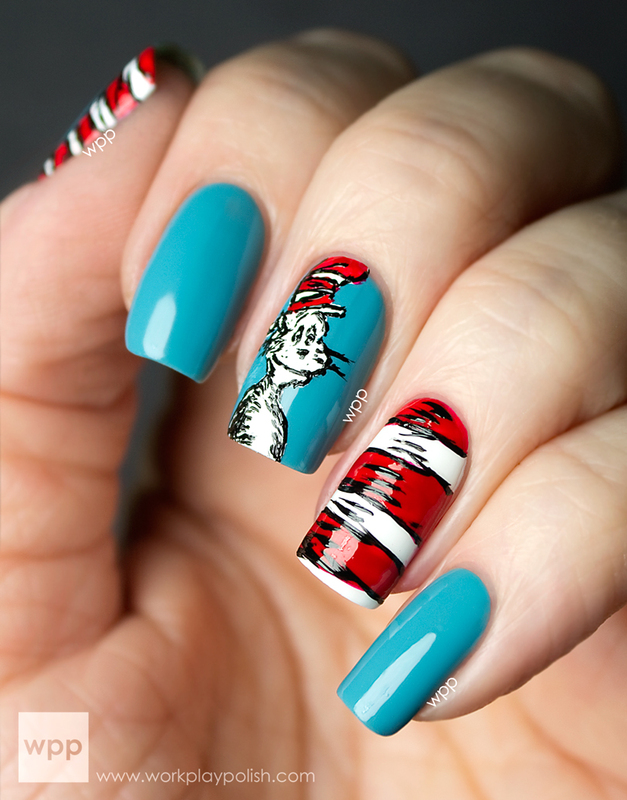 NCLA has also released a collection of cool Hello Kitty themed wraps and fun holiday polish duos. Be sure to check out all the new goodies at www.shopncla.com and follow NCLA on facebook, twitter and instagram!